Henry Hoover Vs Dyson Light Ball Multi Floor - Which Is Better? Henry Hoover Vs Dyson Light Ball Multi Floor – Which Is Better? Dyson and Numatic are two of the longest standing and well-known hoover manufacturers in the UK and for good reason. 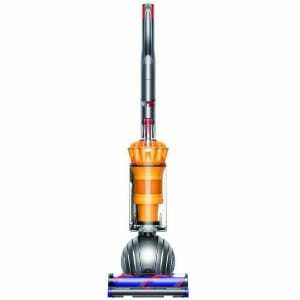 Both manufacture high-quality, durable vacuum cleaners with outstanding technological advancements. Henry is Numatic’s most famous machine – more than 30 years old, and Dyson’s been making Ball vacuums for more than a decade. Let’s see how the Henry Hoover Compact and the Dyson Light Ball Multi Floor measure up against each other. Numatic’s little family of hoovers has been a staple in British households and offices for many years. 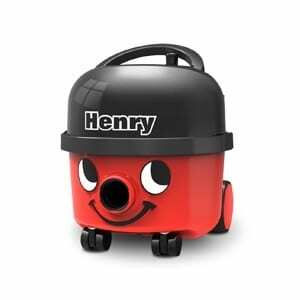 They’re also known for making exceptionally durable cleaners, and Henry’s friendly face has been around since the early 1980s (the newer versions offer improvements, of course). Essentially, the 160 is a more compact version of the Henry 200. This particular cleaner is an affordable and practical solution to the average home’s cleaning needs. It features a long power cable, large dirt capacity, and easy maintenance. Dyson is a reputable brand and we expect only excellent products from them—and the Light Ball doesn’t disappoint. The first Light Ball was manufactured more than a decade ago, and the Multi Floor features the same basic design with some improvements. The Light Ball Multi Floor is Dyson’s most affordable upright option, and it’s extremely efficient— featuring an A-class energy efficiency rating and a 700W motor. It’s a response to the EU’s new ban on vacuum cleaners that exceed 900W when the previous limit was 1600W. Henry’s cleaning capabilities are extremely satisfying. The combi floor tool features a switch which will allow you to easily clean both carpets and hard floors, while the crevice tool enables you to reach under furniture and in tight corners. He operates efficiently (Energy efficiency class A), silently, and cleans well without needing many passes. The compact design makes this little vacuum cleaner quite manoeuvrable and easy to handle—considerably less bulky than his predecessor. The Multi Floor has a well-thought-out design and can switch between hard floors and carpets without breaking a sweat. Or rather, without you having to switch between settings and extensions. It’s easy to handle, but when tackling extended cleaning jobs, you may find that your wrist tires. As for suction power, it features more than enough to remove dirt from both hard floors and carpets in a single pass. It will pick up debris without snow ploughing anything but wasn’t designed to clean really thick pet hair without some getting tangled. Here, the Dyson Light Ball Animal will come in handier. Henry’s capacity ensures that frequent emptying isn’t a necessity. While he can be used bagless, it’s advised to use Numatic’s specially designed Henry bags. They are self-seal and disposable, to lock up all the dust and debris tightly. Replacements are cheap enough and won’t leave you out of pocket. As cylinder vacuums go, the Henry HVR-160 is truly easy to clean. Simply unclip the top, lift out the TriFlex filter, and replace the dust bag. Using bags instead of a bin also reduce the risk of spilling dirt everywhere. The Henry HVR160 takes all the best parts of the 200 and locks them up in a tight, portable package. It’s easy to tag along while you clean, and storage isn’t a problem. Because the cord allows so much leeway, you can move around the house and will only have to find a new outlet once or twice. It also features a rewind system. The flexible hose is excellent for all hard to reach places, including underneath furniture, tight corners and crevices, and other awkward places. If you suffer from allergies, this is a benefit specifically for you. Dyson’s Multi Floor is certified by the Asthma and Allergy Foundation of America, but you may be exposed to some dust when emptying the 1.6-litre bin. Speaking about emptying, it’s as easy as pressing a button—no need to get your hands dirty. The Multi Floor features Dyson’s unique ball design and a relatively light plastic body. This feature maximizes manoeuvrability, so you’ll be able to turn corners and switch direction like a pro racecar driver. However, the actual “ball” will provide some difficulty when trying to clean under furniture. There’s a handle on the bin which makes carrying the vacuum up some stairs easier than ever. The hose stretches to around 3m, allowing you to clean staircases without having to take the vacuum with you – although it will tend to follow you on a flat surface due to the tension in the hose. It’s also brilliant for reaching ceilings and cleaning small or cluttered rooms where manoeuvring a whole hoover will prove to be difficult. The Light ball comes with some additional accessories to increase the cleaning ability of those hard to reach areas. While you can’t store all of them on the vacuum, the machine has space to take one or two tools with you while working. There you have it. 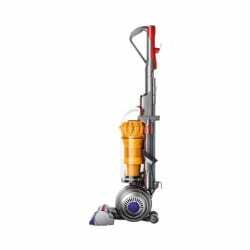 Both the Henry Compact Bagged Cylinder Vacuum cleaner and the Dyson Light Ball Multi Floor are excellent cleaners. 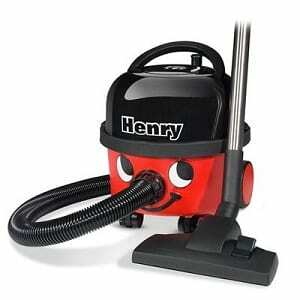 The Henry does offer more dirt capacity and versatility, while the Multi Floor is a better all surface cleaner. In conclusion, your choice will depend on your household’s needs.